U.S. SENATE —U.S. 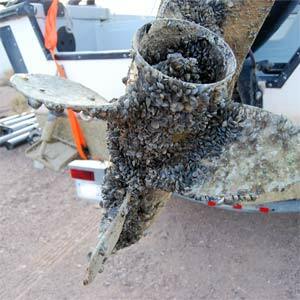 Senator Steve Daines today requested expedited implementation and distribution of funds for watercraft inspection stations to combat the spread of adult mussels wreaking havoc on Montana’s ecosystem. Recently, invasive mussel larvae was confirmed in the Tiber Reservoir and possibly found in the Canyon Ferry as well. If adult mussels spread, they can block hydropower and irrigation ducts, as well as wreak havoc on the ecosystem, recreation and tourism. In a letter to the U.S. Army Corps of Engineers (Corps), Daines requests the Corps to expedite implementation and distribution of funds for watercraft inspection stations as codified in Section 1039 of the Water Resource Reform Development Act (WRRDA) of 2014. Daines’ letter is available to download HERE and below. Major General Donald E. Jackson Jr., P.E. I write to request that the U.S. Army Corps of Engineers (Corps) expedite implementation and distribution of funds for watercraft inspection stations as codified in Section 1039 of the Water Resource Reform Development Act (WRRDA) of 2014. Congress has continued to reiterate its intent explicitly in both Fiscal Years 2016 and 2017 Energy and Water Development Appropriations report language, as early as May 2015. These preventative measures are critical to maintaining a healthy ecosystem as well as economic and recreational activities in Montana. News last week of invasive mussel larvae being detected in Montana waters was alarming. Should the larvae propagate, it will have detrimental impacts on Montana’s ecosystem, obstruct irrigation and hydropower infrastructure, and negatively impact our economy. Following this discovery, boating has been temporarily banned on both Glacier National Park and Blackfeet Tribe waters. WRRDA requires the non-Federal share to be 50 percent of constructing, operating, and maintaining watercraft inspection stations. My understanding is the State of Montana has already spent nearly $1 million on operating 16 inspection stations this year. Montana has plans to expand the number and hours of inspections stations to further mitigate this threat. However, the federal match is urgently needed by April 1st, 2017, before next year’s water recreation season begins and Montana sees an exponential increase in boat traffic and risk. With these factors in mind, I urge the Corps to expeditiously complete any necessary guidance documents and release these critical funds to states, so they can conduct this imperative work. Thank you for your attention to this matter, and I look forward to your prompt response and staying in close contact on this crucially important issue.